Mean Streets is one of Martin Scorsese’s early pictures and a very personal one. As it is well-known, he wanted to become a Catholic priest and grew up in Manhattan, in Little Italy, a famous New York neighbourhood. He later reminisced that it was like a “Sicilian village”. The film follows Johnny Boy (Robert De Niro), a psychotic young man aspiring to become a respected mob member. De Niro plays the part with virtuosity (he was 30 at the time) that anticipates his later tour de force performances in Taxi Driver and Raging Bull. Mean Streets is not just a milestone in Martin Scorsese’s brilliant career, it may very well be one of his finest pictures. The film deeply influenced Wong Kar-Wai’s first movie As Tears Go By. De Niro’s genius is openly manifested in the portrayal of his character’s erratic behaviour and is an antipode of Harvey Keitel’s character Charlie, who is calm, rational and does not succumb to desires easily. A shot in which Johnny Boy shoots in the air trying to shoot the lights on the Empire State Building is a synechdoche that points to the type of character Johnny Boy is. His ravaging irrationality puts him at odds with men he cannot control, as he cannot control himself. He does not care for family bonds, religion, or anything whatsoever that does not bring him pleasure. He has no fear at all, a characteristic that Aristotle defined as immoderate folliness. On the other hand, for Charlie, family and religion are important, and that, paradoxically, puts him in an impossible position of trying to save a man, whose head is deep under the water, from drowning. Shots of fire are often shown in the movie and its symbolism is twofold. On one hand, fire represents temptations that can lead to divine punishment of suffering in hell; on the other – madness. Fire, along with water is an element that is commonly associated with madness (for connections between symbolism of water regarding to madness, Andrei Tarkovsky’s Nostalgia is a perfect example). Bob Dylan’s song Joey, originally from the album Desire can be beautifully juxtaposed to the world of Mean Streets. The world of Mean Streets can also be compared to the novels of Fyodor Dostoyevsky, most particularly his The Idiot. Prince Myshkin has epilepsy, as does Teresa; Charlie can be compared to Prince Myshkin, a naïve man who is trying to “save” his erratic and murderous friend Rogozhin; Johnny Boy is a version of the latter. The Idiot ends with main characters either succumbing to madness or ending up in Syberia, and Mean Streets does not end on a much lighter note as well. On the other hand, music in the film (e.g. the Rolling Stones) gives the grave matters it discusses a tone of playfullness; lighthearted humour, bar fights and improvized scenes, ultimately bring the viewer enjoyment. Nobody tries anymore… Just tries to help, that’s all, to help people. Francis of Assisi had it all down. 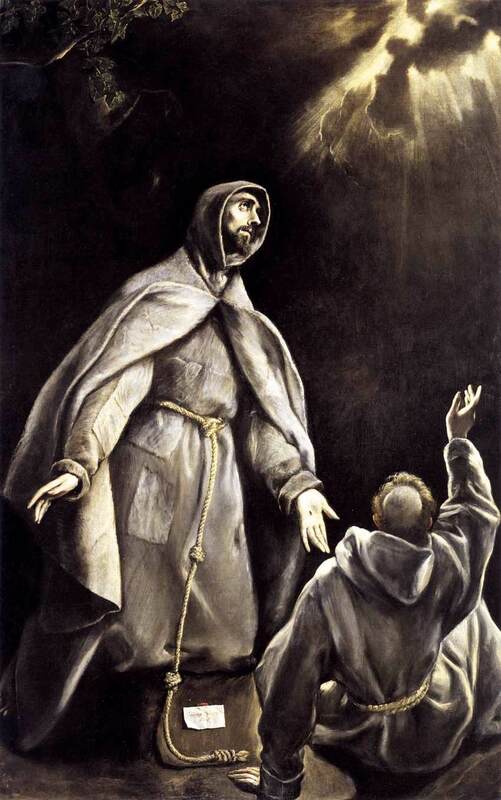 Francis of Assisi was born an Italian as Giovanni di Pietro di Bernardone. He was a founder of the Franciscan order; in 1219 he went to Egypt to convert a sultan to put an end to a conflict. In the country chapel of San Damiano, the Icon of Crucified Christ spoke to him with words “Francis, Francis, go and repair My house which, as you can see, is falling into ruins.” Keeping in mind these anecdotes, we can perceive the appeal St. Francis had to Charlie. In the opening captions we can see Charlie shaking hands with a Catholic priest and at the beginning of the film he says: “You don’t make up for your sins in church. You do it in the streets. You do it at home.” During the film there are numerous voice-overs of Charlie’s introspections from which we can learn much about his character, religiosity and social views. He is a ridiculed figure at times because of his devotion to Catholicism; his constant aim during the film is to save others from themselves. At the end of the film, he lies and makes up a story about himself to “save” a Jewish woman from the life of prostitution. On the other hand, during the dialogue by the sea, Teresa tells him that everyone must take care of himself (a Nietzschean worldview). Their moral stances are in a constrast, and we can see internal tensions in Charlie’s character as well. He tries to live up to the appearances that he thinks must be upheld, but at the same time follows his principles. In a way Mean Streets is a morality tale. It would be much different if in the end Charlie pays the ultimate price, but it seems that Scorsese wanted to praise Charlie’s way of living not as a naïve one, but heroic and worthy. We can ponder if his devotion to family and helping Johnny Boy is of any use at all and that precisely is Scorsese’s brilliance. Mean Streets is a film open to interpretations, moral discussions and at the same time serves as entertainment. Its twofold characteristic – it brings both enjoyjment and material for reflection – makes it a brilliant piece of art.